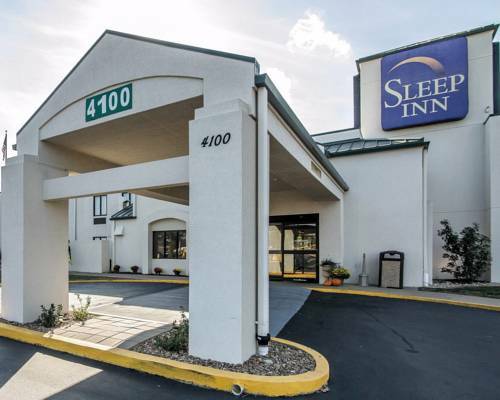 I-44 & SR 43 S.
Dream better at the Sleep Inn hotel in Joplin, MO. This pet-friendly hotel is situated right off Interstate 44 near Mercy Hospital, Precious Moments Inspirational Park, Missouri Southern State University, Joplin Memorial Hall and the Northpark Mall. Visitors can also easily get to the Wildcat Glades Conservation and Audubon Center. Enjoy free breakfast, free WiFi, a free weekday newspaper, guest laundry facilities, free coffee and a full-service restaurant. Fresh design elements will help you relax while you enjoy amenities like a TV, coffee maker, hair dryer and more. Also, earn rewards including free nights and gift cards with our Choice Privileges Rewards program. Pet Accommodation: 10.00/stay. When using a GPS device or web map to locate the hotel, please use hotel's coordinates where possible: Latitude: 37.008297, Longitude: -94.550500. Please contact the hotel for additional directions prior to traveling. - John Q. Hammons Conv. Ctr. - Missouri State Highway Dept. Just down the road from juggernaut Precious Moments, the Stearnsys have staked out a small niche in the collectible world. 40,000 square feet of exotic vehicles, many of them built by Darryl Starbird, who lives next door. The 1960 Predicta, the 1974 Vantasta, and dozens more. Around 20 detailed, life-size skeletal dinosaurs made of welded steel that formerly stood on the lawn of the late Robert Dorris, who called it "Dinosaur Not So National Park." Opened in its new spot with its new name in July 2015. Snake-lovin' Dale Ertel runs a small reptile ranch tourist attraction in the building next to his home.